What do you know about WIFI MB SD C4? 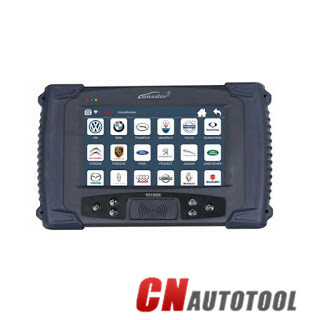 Wireless MB SD C4 Diagnostic Tool is with newest 2017.09 software.New MB SD Connect Compact 4 Star Diagnosis not only support K line diagnose and CAN BUS,but also UDS diagnose protocol. Because old MB STAR C4 main board do not have UDS chip, so old MB STAR C4 can not support it. 1.Dell D630 HDD and External HDD,which one is better? Dell D630 HDD only works with Dell D630 computer. External HDD can work with all computers. But Dell D630 works more stable,the connection is more stable,meanwhile,it has a quicker speed when you use,and only DELL D630 HDD can support WIFI. If it is possible,we suggest you to buy the DELL D630 HDD. 2.Why do you need to choose one second-hand laptop? (1)Operate more smoothly on dell d630 computer which our tech engineer recommend. 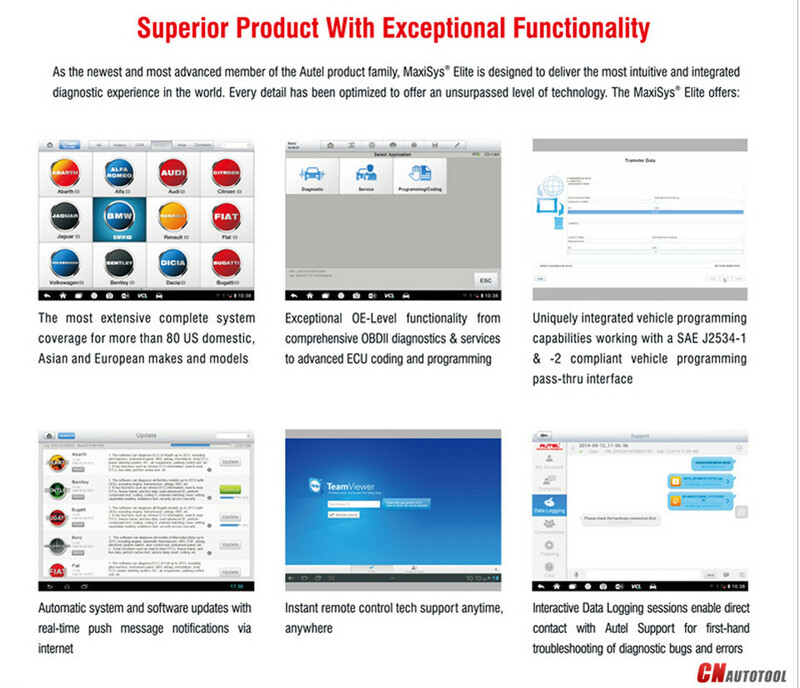 (2)Software installed before shipment,ready to use once you receive the package.If you are not familiar with the software activiation,suggest you buy the Auto key Programmer MB SD C4 Plus Laptop. 3.How to set MB SD C4 WIFI? Firstly, disconnect the local areal connection. 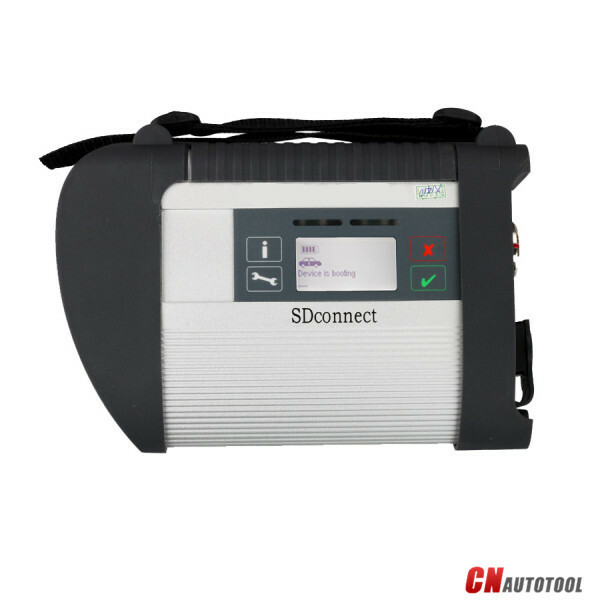 Then connect the sdconnect 4 with the car and start the car. Finally connect to the wireless connections. 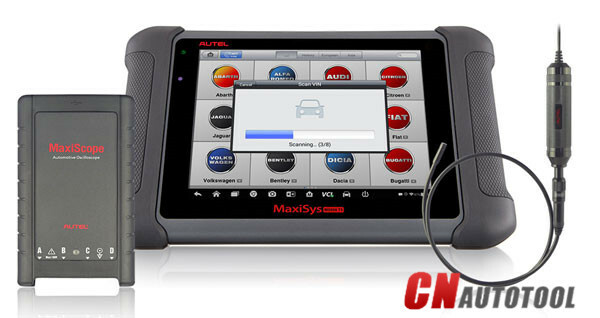 Launch X431 Pro Mini is newly available at www.cnautotool.com, what it differs from Auto key Programmer Launch X431 PRO? 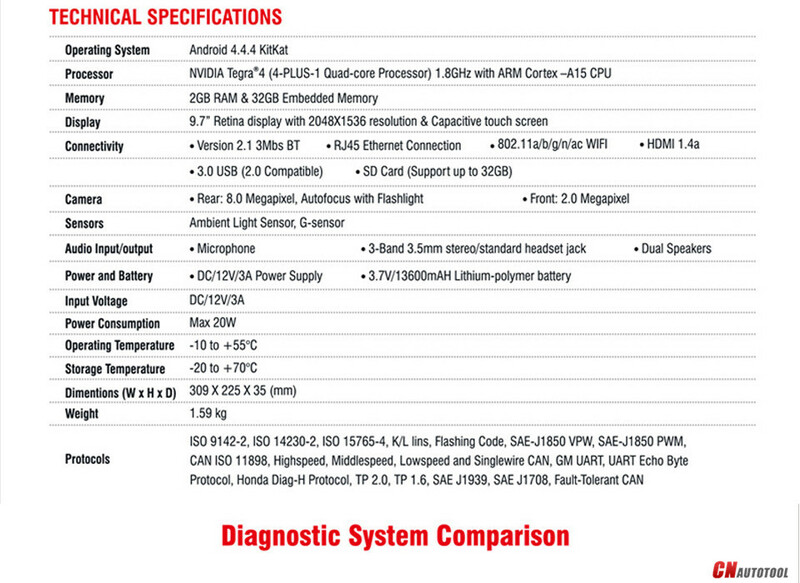 Here a comparison table for reference. PS: Launch X431 Pro is available with X431 Pro 7” (first generation) (SP183), Launch X431 V 8” global version (SP167-B), Launch X431 V 8” (SP183-D). 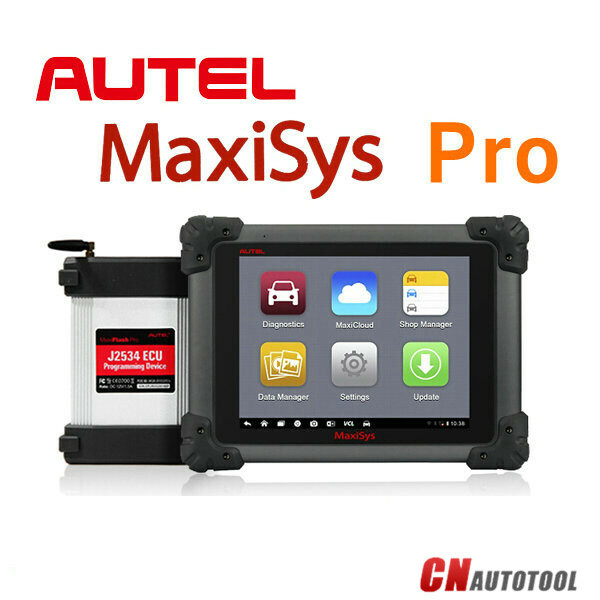 The Autel MaxiSYS Elite J2534 ECU Program, the newest addition to the MaxiSys line of highly advanced smart diagnostic tools, is based on the fast and intuitive Android operating system. Powered by NVIDIA’s Tegra4, the world’s fastest mobile processor, its visually stunning 9.7” Retina display offers ultra-high resolutions up to 2048×1536 and an optimized array of sophisticated and powerful applications. 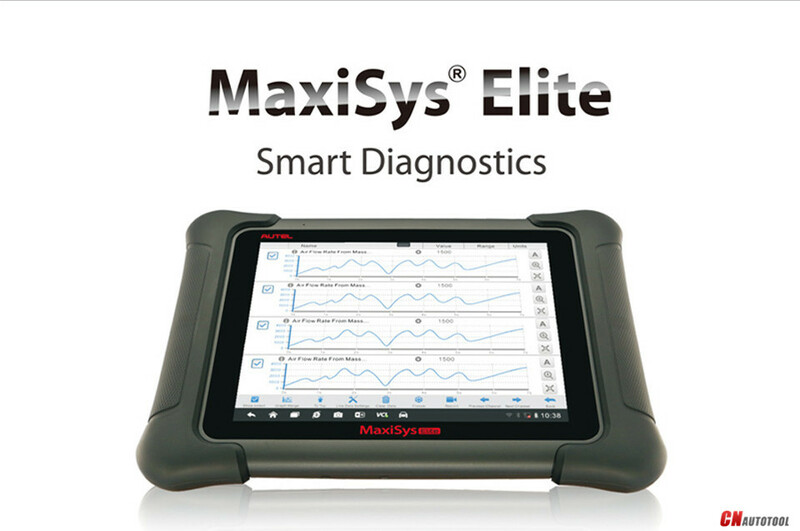 The MaxiSys Elite rapidly performs every job from comprehensive vehicle diagnostics & analysis to advanced Auto key Programmer. 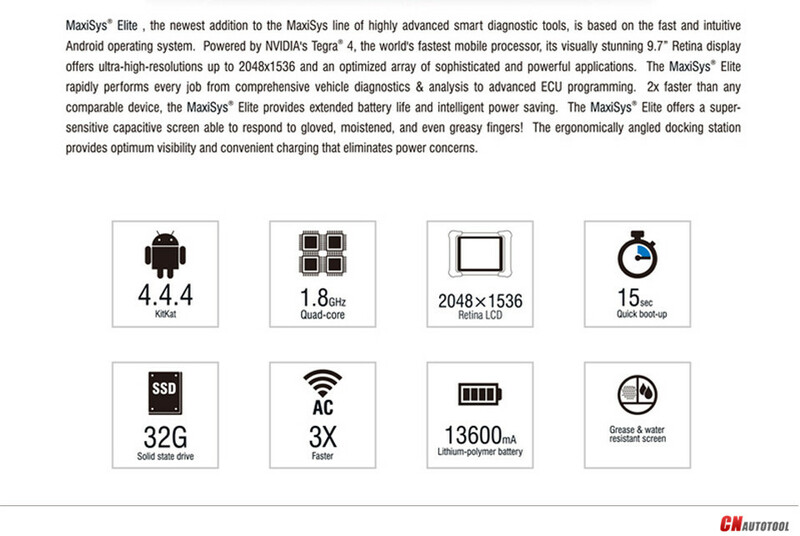 2x faster than any comparable device, the OBD Scanner MaxiSys Elite provides extended battery life and intelligent power saving. The MaxiSys Elite offers a super-sensitive capacitive screen able to respond to gloved, moistened, and even greasy fingers! The ergonomically angled docking station provides optimum visibility and convenient charging that eliminates power concerns. * The ICOM C for old series with a diagnostics socket will be additionally equipped with an approx. 20 cm long cable, which facilitates the connection of the Auto Scanner Tools ICOM A2 and makes storage in the engine compartment easier. 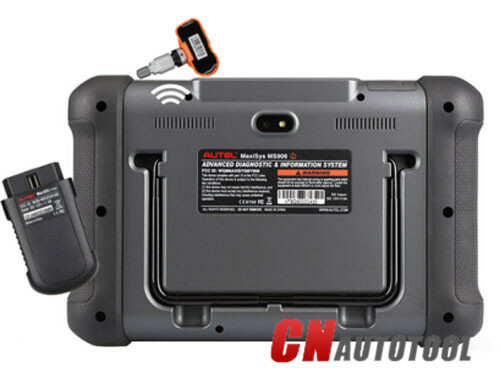 The On-Board diagnostics known as OBD is used as a generic term that refers to the self-diagnostic and reporting capability of a vehicle. 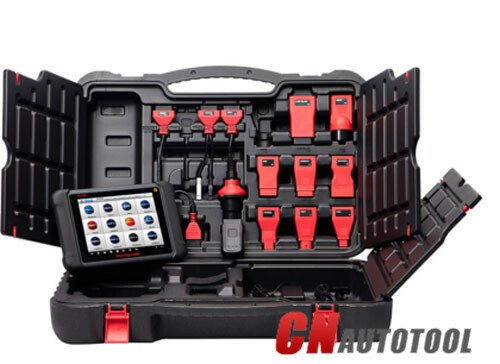 This performance offers the mechanic and the user a direct access to information on the state of the engine health and it always encompasses various sub-systems inside the vehicle. 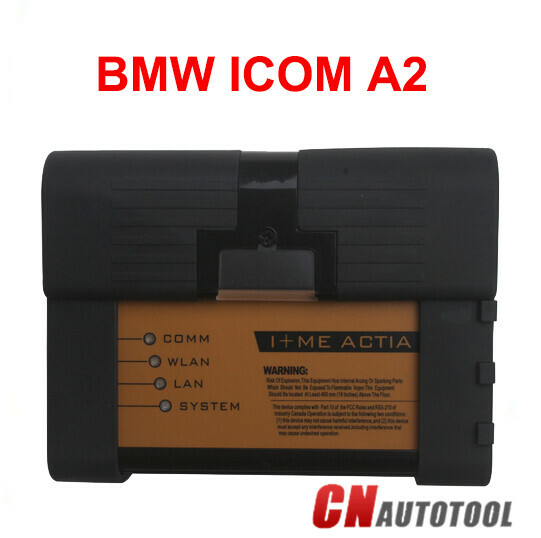 There are two known models of the OBD2 Tools in the market. While the OBD-I was essentially intended to alter and encourage automobile mechanics to align to certain reliable emission management systems that were to last throughout the vehicle’s usable life. It was found not to cover the car engine system in the most efficient of ways. 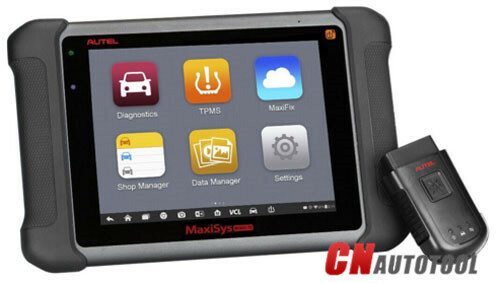 The new generation on board diagnostics, known as OBD-II this is often an improvement over OBD-I in every capacity and standardization. 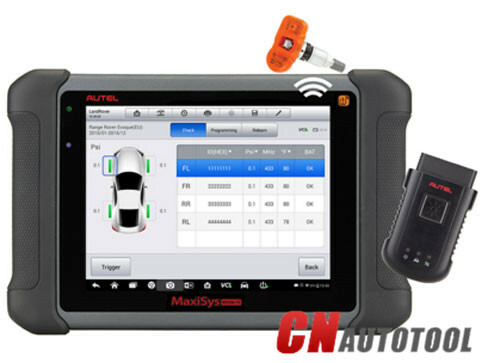 The auto scanner diagnostic tool primarily offers three unique specifications embodied on the manner in which the diagnostic tools are built to give a clearly specified data scan. 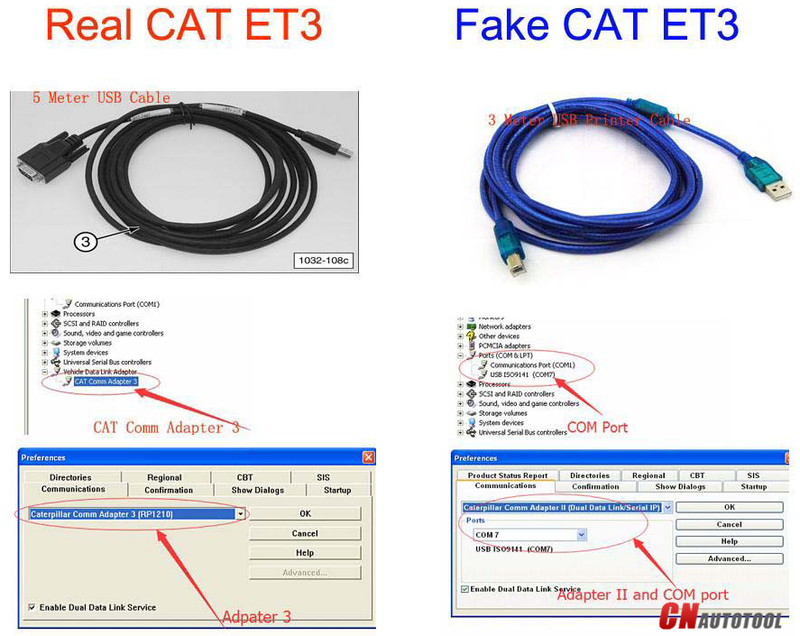 These specifications border on the electronic messaging format, electrical signaling protocols and a list of auto parameters to scan besides having the capacity to give very clear interpretation of the scanned data. 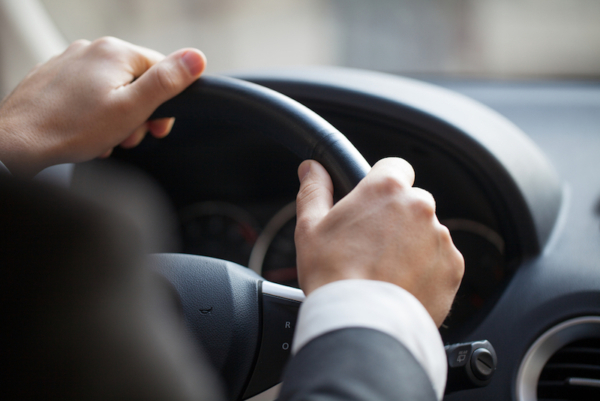 There are a number of standards used within the on board diagnostic system. One of such is the Environmental Protection Agency (EPA) standards. The EPA was aimed at reducing motor vehicle emissions especially the trucks and cars. The EPA rules require the manufacturers to make cars that meet the strictest emissions standards. 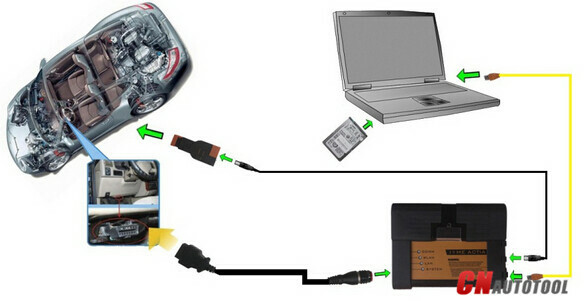 Most of the OBD II scanners are EPA compliant if we dissect it against the former OBD I. whereas OBD-I tools could simply be used for emission management systems on cars that didn’t have any given standards, OBD-II provides a universal scrutiny and identification methodology to make sure that the car is working according to the Original instrumentation Manufacturer (OEM) standards. The state of California had intent to combat the air pollution issues in the state. This led to the authorities to start requiring emission management systems on all 1966 model of cars. It was in 1968 that the federal government enforced these controls nationwide. It was finally with the passage of the Clean Air Act of 1970 which was underpinned in the congress in the same year of 1970.the Environmental Protections Agency (EPA) of 1970 was established through this act. This started a series of emission standardization for emission which was meant to help in the maintenance of vehicles which has been in place for some time now. 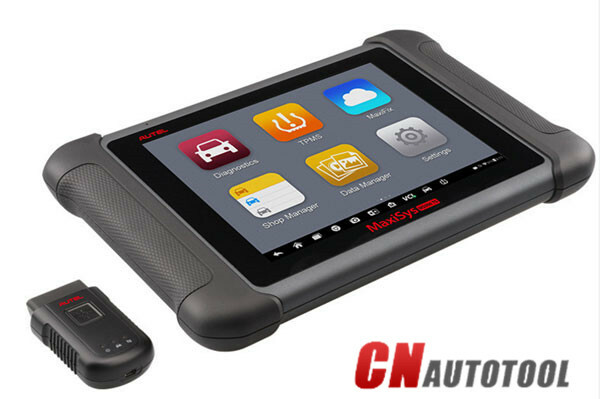 Only electronically controlled systems OBD were found to meet these high end standards. Most Sensors help in changing the engine performance so as to produce the minimum potential of the engine to cause pollution. These sensors are additionally useful in providing early diagnostic help. 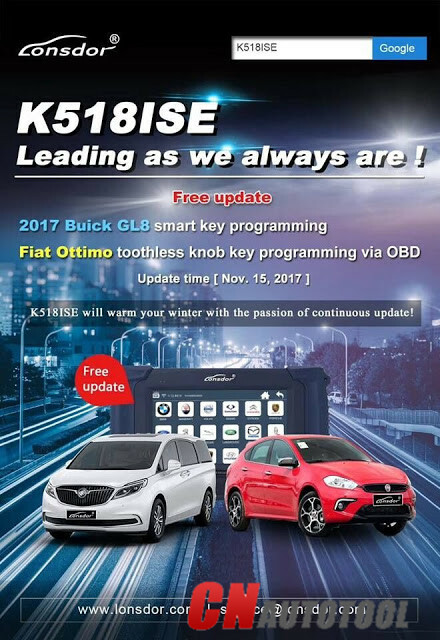 Since its origin in the early nineteen eighties, OBD has undergone varied levels of complex changes in terms of the number of diagnostic information it offers. 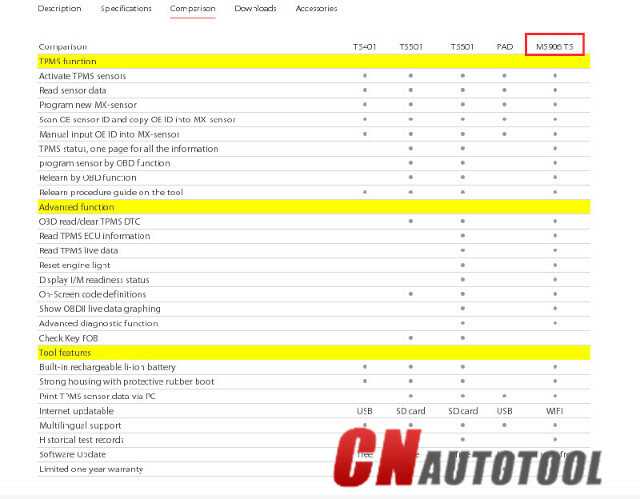 The earlier models of OBD would merely indicate malfunctions illumination indicator light (MIL). These indicators are additionally marked as “the check engine light”. However some OBD scan tools of yonder wouldn’t give elaborate information on the character of the matter. 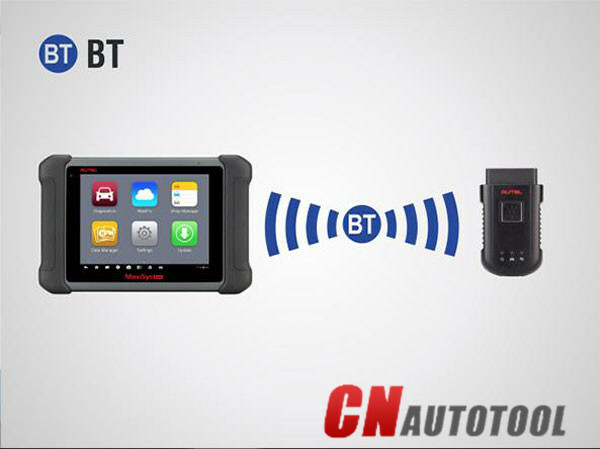 Modern OBD models use an identically quick digital communications port to produce timely and periodic data besides the manufacturer standardized series of diagnostic fault codes (DTCs). 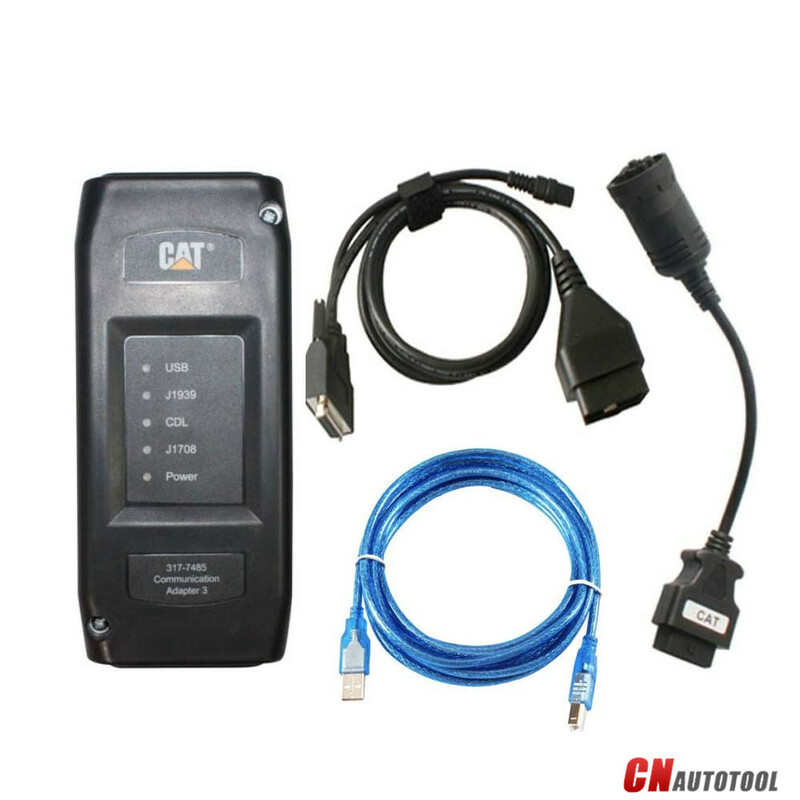 These are known to enable the mechanics and the drivers to spot malfunctions within a vehicle and organize for the appropriate remedies in a flash. 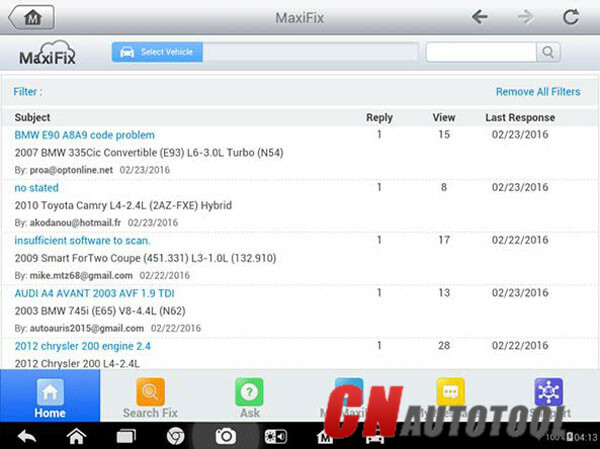 What is important for any driver or mechanic who wants to use these scan tools on his car is to know which car brand is in question. This is then bound to assist the user in making the best selection. However, having them has become a fundamental requirement in most emission regulated countries globally; it is just a matter of time before all countries adopt their use.